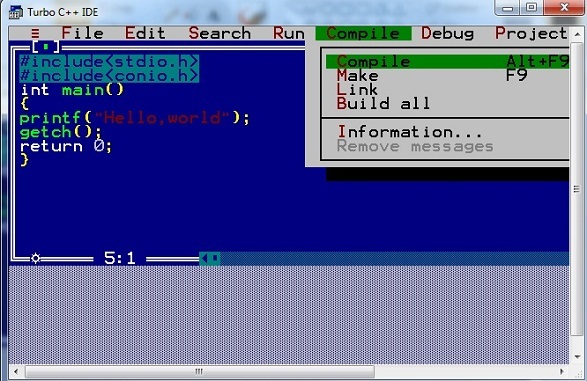 Download a full fledged IDE like Turbo C or Microsoft Visual C++, which comes along with a C language compiler. Or, you use any text editor to edit the program files and download the C compiler separately. 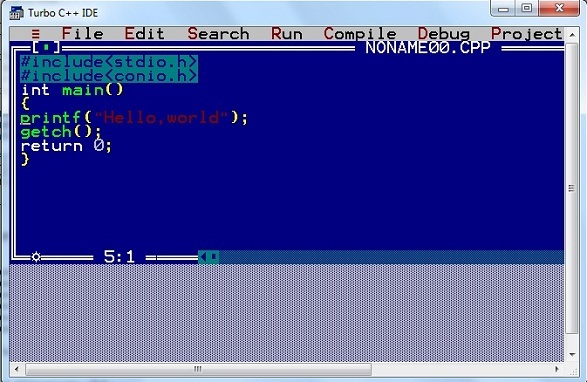 Here we have a simple video, explaining how to setup Tubrbo C/C++ for writing, compiling and running C programs. 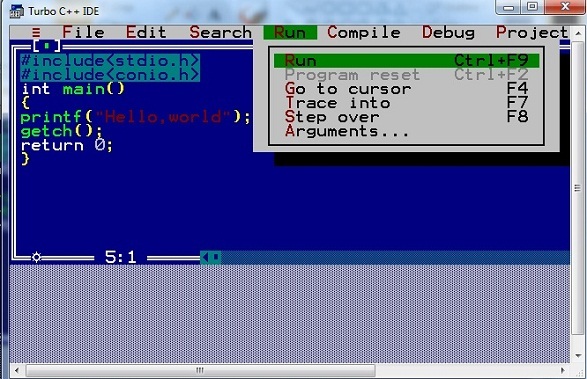 We will recommend you to use Turbo C IDE, oldest IDE for c programming. It is freely available over internet and is good for a beginner. Open Command prompt or Terminal(if you use Ubunut or Mac OS), and go to the directory where you have saved the hello.c program file. 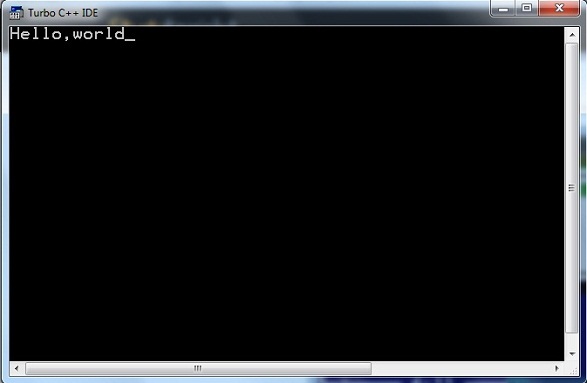 Now, to run the program, type in ./a.out and you will see Hello, World displayed on your screen. You must be thinking why it is a 2 step process, first we compile the code and then we run the code. So, compilation is the process where the compiler checks whether the program is correct syntax wise, and there are no errors in the syntax. When we run a compiled program, then it actually executes the statements inside the main() function.